Can Cau animal and bird market in Si Ma Cai district (Lao Cai) has long been famous throughout the Northwest with unique and wild nature that no place has ever been. Located in the high mountains and near the city of Lao Cai nearly 100 km, visitors to the buffalo market, birds of Can Cau (Si Ma Cai district, Lao Cai) will go through the folding, winding mountain pass, When going up high, steep terrain, the more characteristic of the northwestern mountains. 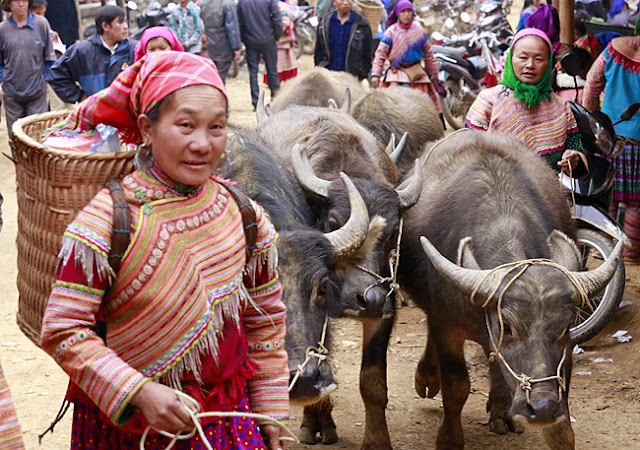 The most outstanding feature of Can Cau Market is that it sells many buffalos. A large area of land for hundreds of people to buy and sell, Buffalo market is always the most exciting place in Can Cau market. Here white buffalo, black buffalo, male, female, big, have all. Buffalo prices vary depending on the purpose of use, purchase to plow or take meat. Many people do not hesitate to take the buffalo to market with the hope of someone buy, but many people have to lead the buffalo. The buffaloes are strong, athletic, black body shadow, fierce generals, standing on the brink, sharp horns. Next to the merchant wing, they came to Can Cau to select the quality buffalo. The largest buffalo in the Northwest, each market has nearly a hundred buffaloes are traded. From buffaloes bought to breed, to plow, to large buffalo for meat. To the farmer, the buffalo is a great asset. However, the purchase is mainly based on the "buy and sell" and completely exchange mouth, the price of experience. Buffaloes are sold at prices from 10 to 60 million per child depending on the age and health of the buffalo. 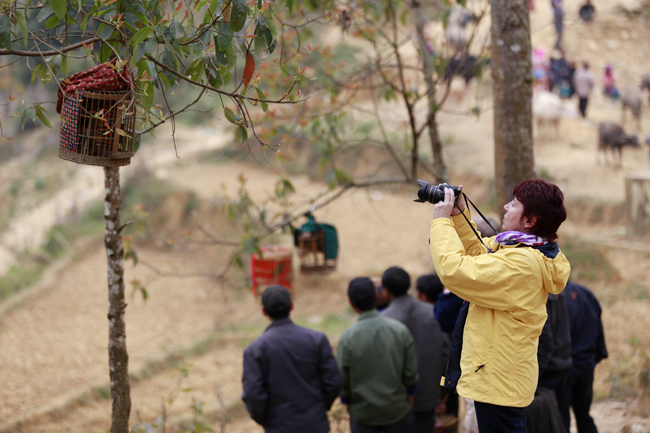 Besides selling buffalo, Can Cau market is famous throughout the North West with the market exchange, trading birds. 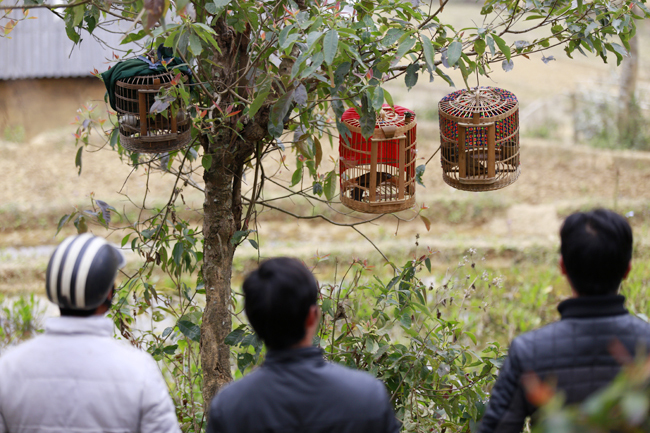 Birds are mainly nightingale, coronavirus, parrots ... to evaluate a valuable and expensive birds, buyers will listen to the birds singing, flying in the cage to know if the health is good or is not. Many foreign tourists are present at Can Cau curious about the Buffalo and birds market in the Northwest. 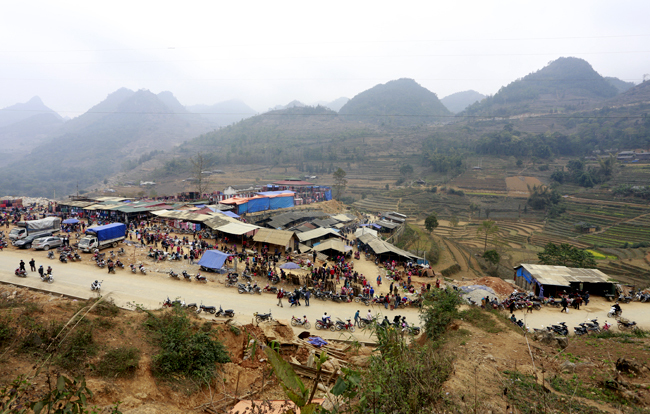 The Can Cau market is held every Saturday in the middle of the Can Chu Su canal slope in Can Cau Commune. Buffalo and Bird market lasts until noon. Apart from the cattle and poultry trade, there are also many items such as agricultural products, cloth and foodstuff. This is also the most beautiful day of the week for children to follow the mother down the market, to the Mong, Tay, Dao ... show off the most colorful clothes. An indispensable specialty when coming to Can Cau in particular and Bac Ha district is generally corn wine. The wine is hand crafted with Hong Mi leaves yeast, water to make wine is taken from the mountain water flowing down to create a unique wine that is not available anywhere.